The first coverings worn by humans were to protect against the elements and injury. While that requirement still exists in everyday clothing, very specialised garments have been developed to protect against the effects of bullets, bombs, knives and other weapons. This body armour book is about these forms of protective clothing – body armour and helmets. The protection of personnel against the effects of weapons has become an important not only to those in the military or in law enforcement but also to others such as journalists and medical staff who might be at risk in the course of their duties. The authors have written this introduction to the modern body armour and helmets of the early 21st century in non-technical language, mainly for the reader who has little or no previous knowledge of materials technology, design, or ballistics. They have attempted to provide answers to the questions that such a reader may have. The body armour book describes anti-personnel weapons and ammunition and the materials which are used to stop these threats. The reader will learn why and how such forms of protection work. 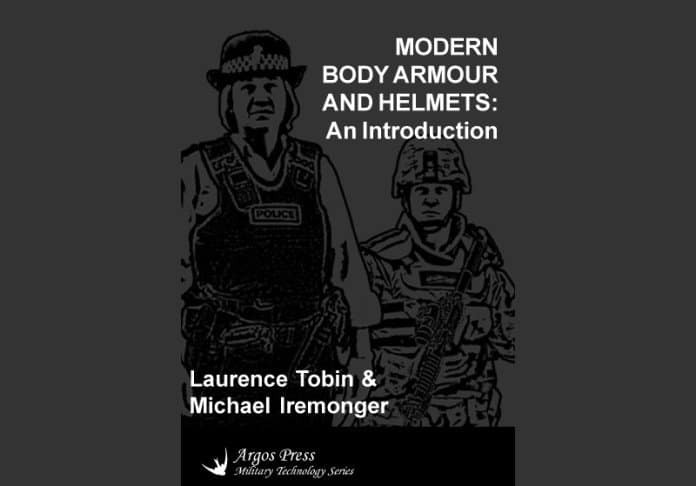 The book also explains how body armour and helmets are designed, how both the basic materials and the finished clothing and headwear are tested and how to select appropriate armours and helmets. Dr Michael Iremonger has taught at the Royal Military College of Science (now the Defence College of Management and Technology) at Shrivenham in the UK for over thirty years. As well as teaching many students about the fundamentals of body armour he has conducted research on many aspects of body armour systems from the computer and experimental modelling of armour mechanics to the factors that influence their wearability. “Further details, a sample chapter, and secure online order at here.